Get ready to see Nashville, Tennessee! This year, the National Leadership conference will be held in Nashville from June 24 - June 27. If you place well in your event at the State Leadership Conference on February 22, you will qualify to attend the NLC. For more information on the conference, click here. 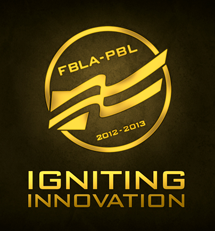 Fire up your future in Anaheim by going to the National Leadership Conference 2013! This past year the nation will gather in California to "battle" against each other in the spirit of the Hunger Games! Three of our members attended NLC. Congratulations to Rebecca Minicozzi for placing seventh in her event and although they did not place nationally, congratulations to our other two members for a job well done! They had a wonderful time exploring Anaheim! In November 2012 a few of TCNJ PBL's dedicated members flew to North Carolina to participate in the national organization's Fall Leadership Conference. In doing so, our members were able to partake in professional development programs and sit in on career building lectures. While developing their professional skills they also networked with members across the country and built bonds among each other. Remember the Alamo! We're going to San Antonio! Two of our qualifying members, Mark Wohlgemuth and Rebecca Minicozzi, flew to San Antonio representing TCNJ and New Jersey. Although they did not place nationally, they learned a lot about there fellow club members around the country and had a great time participating in the events!